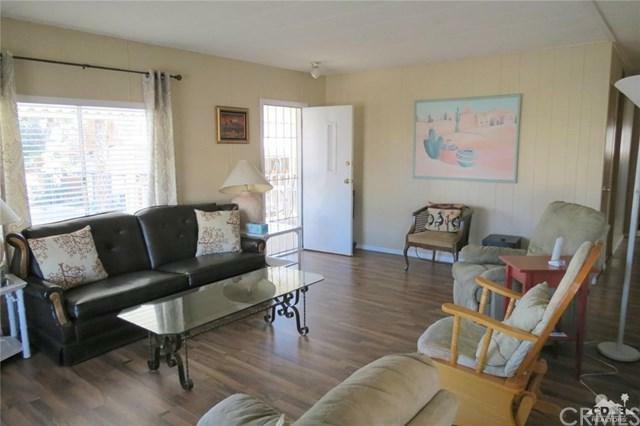 Very neat and tidy home with magnificent views from covered side patio. Lots of upgrades in this home include kitchen, laminate flooring plus new golf cart shed and golf cart is included in sale. 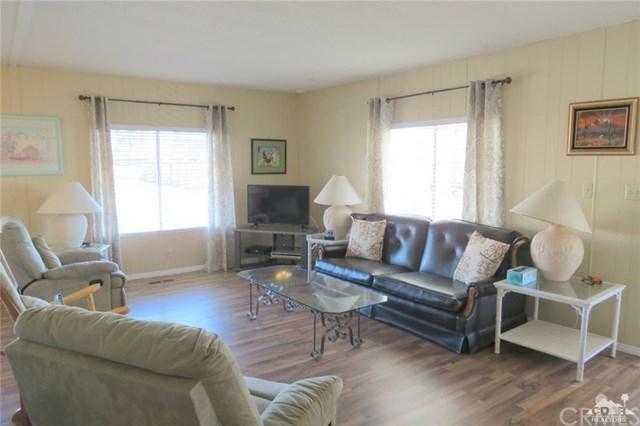 Comes turn key furnished per sellers list. You own the land and two deeded owners of record receive unlimited golf on eighteen hole regulation and nine hole par three. Outstanding clubhouse with year around restaurant plus two swimming pools, two hot tubs and tennis courts. 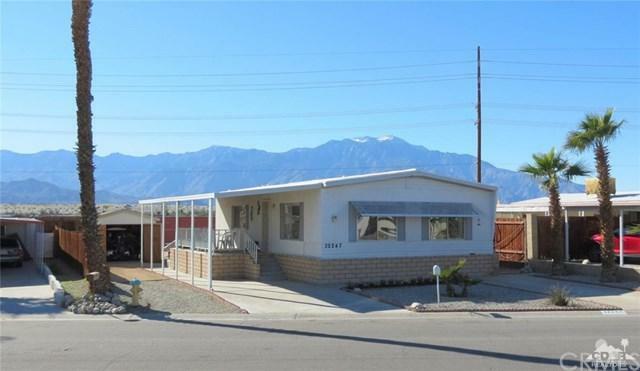 Centrally located in the Coachella Valley to all desert happenings. 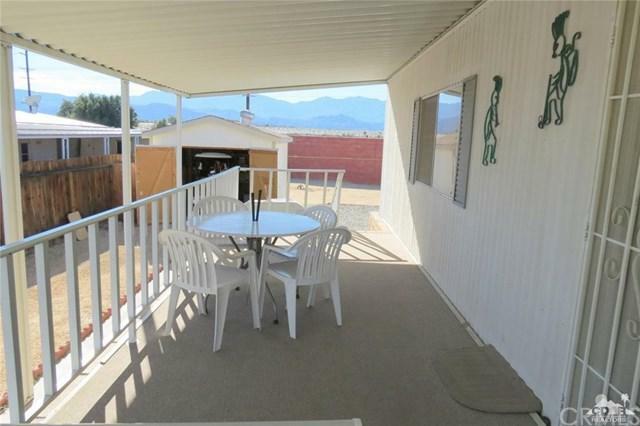 Come enjoy affordable California Desert living at its best!